12 Pack, 1 Liter/2 PT, Home Canning Jar, Bundled Tray, 12 Jars With Metal Lids ; Rings. Read and understand all instruction including pressure canner instruction. Failure to do so could result in serious injury. Instructions: Preparation: Inspect the jars, lids and metal bands- do not use if cracked, chipped, scratched, dented or rusted. Wash jar, lids and metal bands in hot, soapy water- rinse well. Jars must be kept warm until ready to use, minimizing the risk of breakage when filling jar with hot food. Never heat jars in the oven. Prepare food using fresh ingredients and a tested recipe for home canning. Processing jars: Fill each warm jar with prepared food. Follow the canning recipe for correct fill-level. Each jar needs headspace between food and the rim to allow for expansion. Wipe any food from the rim of the jar. Finger tighten band an lid and jar. Over tightening can result in seal failure during heating process. This allows far air to be able to escape during canning. After filling Jars with food cover with liquid, release air bubbles by inserting a flat plastic (not metal] utensil between food and the jar. Slowly turn the jar and move the utensil up and down to allow air bubbles to escape. It is not necessary to release air bubbles when filling jams, jellies or all liquid food such as juices. Waterbath canning instructions: Fill canner with enough water to cover jets by 1 inch of water. Heat to simmer- 180 degrees F. Lower filled jars into simmering water, ensuring jars are covered by 1 inch of water. Cover with lid and heat to a steady boil. Boil jars according to time specified in recipe- adjust for altitude. Jars must be sterilized in boiling water if process time is less than 10 minutes. Turn off heat and allow jars to stand in water for 5 minutes. Remove the water and cool jars on a wire rack or towel on countertop for 24 hours. Caution- jars will be hot and can cause burns. 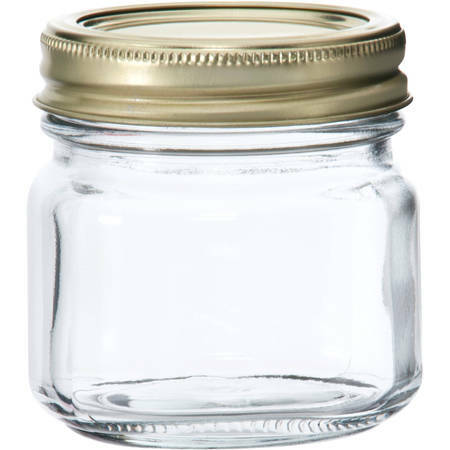 After removing jars, do not re-tighten bands that may have loosened during canning This may interfere with the sealing process within the first 24 hours. Press on the cooled lid- if the jar is sealed, the lid will not flex up or down Store jars in a dark, dry and cool place. Important- the lid can only be used once. Pressure canning instructions: Warning- follow instructions from pressure canner manufacturer. After processing, remove jars from water and cool on a wire rack or towel on counter-top for 24 hours. Caution- jars will be hot and can cause burns. After removing jars, do not re-tighten bands that may have loosened during canning. This may interfere with the sealing process within the first 24 hours. Press on cooled lid- if jar is sealed, the lid will not flex up and down. Store jars in a dark dry and cool place. Important- the lid can only be used once. 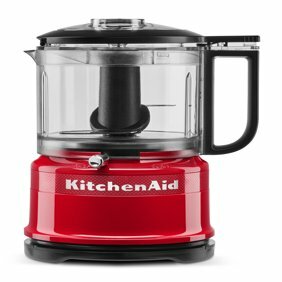 Altitude affects canning recipes. Please refer to the USDA website. http://nchfp.uga.edu/. For complete guide to home canning. I like the size and shape for gift cups of maple syrup. For myself I keep bigger size jars, but I love the smooth surface for adding labels. Ball's 1 cup jars are jelly so they're quilted. This is much better for gift giving. I needed this jar for new recipe (Cheesecake in a Jar). I ordered online, and it was ready for pickup the next day! Exactly what I was looking for and great price! I used these to make candles because they have a smooth surface for labeling. I've never had a problem with them and will keep buying them. Excellent for jelly. Plain sides make for ease of labeling contents. These canning jars have been working fantastic for me! I have been using them several years now, for my business. Also they are now made in the USA again! Happy with these jars. I have sets in each size. I use them for dry good storage in the pantry as well as food in the fridge. I purchase the white lids separately instead of using the metal lids that come with the jars....since I am not canning. These jars work well for home canning and are interchangeable with all other canning lids. The only thing I didn't like was the lids don't make a popping sound when they seal like all other brands of lids. You have to check very carefully to make sure that they sealed. I had no lids fail to seal though. So overall a good product. I bought these jars to fill with candy as party favors for my friends party. They're sturdy, inexpensive, and have the classic mason jar shape. I would recommend to a friend. I love these jars for my raspberry habanero jam, they are just the right size for gift giving. Would definitely give 5 stars but I don't like the seals that come with them. The first batch I processed, only one out of 9 sealed. Re-processed with different seals, and they all sealed. Decided to just used Ball or Kerr seals on the next two batches and everything sealed! !